Calling all undergraduate students with a passion for African Studies! The Institute of African Studies (IAS) at Carleton University is hosting its third international undergraduate research conference organized by the Institute of African Studies Student’s Association(IASSA). The goal of this interdisciplinary conference is to provide a platform for emerging researchers in the field of African Studies. 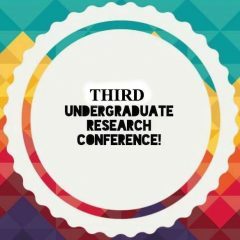 It is understood this may be a student’s first time completing a scholarly paper, therefore the timing of this conference has been chosen to allow time for students to complete research over the summer and to present in October. This year’s conference seeks to encourage interdisciplinary engagement with a new generation of continental and diasporic Africans confronting questions such as: How are global and intra-continental migration patterns impacting the continent and its diasporas? What can be learned from migrant’s individual agency and what tools do they use to actualize justice and social change? How have the rise of New Nationalisms and a global politics of fear shaped the migrant experience? What does the securitization and militarization of the border mean for fabricated national boundaries on the continent? In a time of increasing consequences of climate change, terrorist regimes, and refugees flow, how do we realize a vision of mobility as a human right? This conference encourages students not to simply regurgitate information obtained from a variety of sources, but also to bring forth new and innovative ideas, be it problem solving or avenues for further research. The IASSA plans to make this a memorable experience for students by incorporating guest-speakers, cultural components, and an environment that fosters the kind of support and encouragement that undergraduate students treasure.